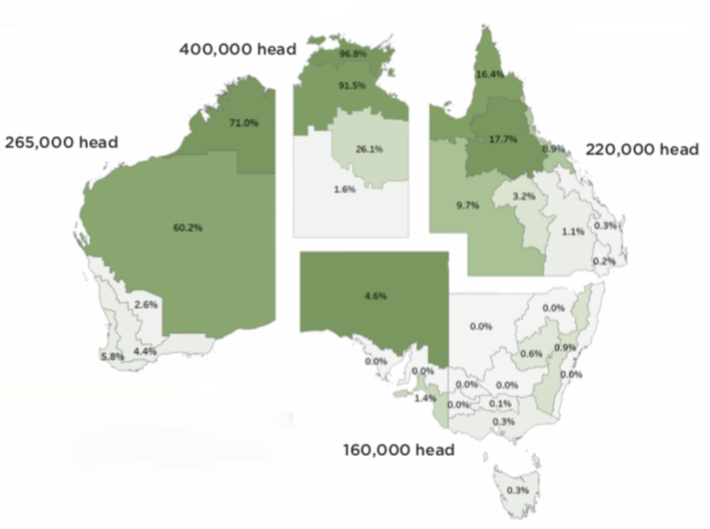 The average percentage of cattle sold to live export as a proportion of total cattle sales within each zone over the 2012-2017 period. Source:Value analysis of the Australian live cattle trade – key highlights November 2018, Mecardo. AN ANALYSIS of the value of live exports to the Australian cattle industry shows that over $620 million of the industry’s average annual revenue is returned to the farmgate. The research was commissioned by LiveCorp and Meat & Livestock Australia and conducted by Ruralco-owned market intelligence company Mecardo. The study involved survey and regression modelling by Mecardo using data from sources such as ABARES and ABS, and two surveys of 161 industry participants. Mecardo also produced a series of webinars for the project. 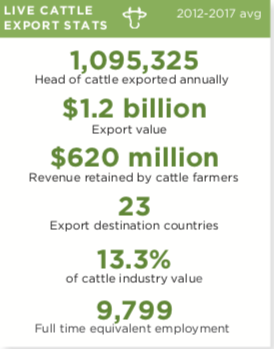 40-57 percent of total revenue from live cattle exports is retained by cattle farmers. An estimated 22pc is retained by shipping operators, 15.7pc by exporters and 7pc by fodder suppliers, with the balance is shared by other value chain participants such as livestock agents, veterinarians, port workers and transport operators. The trade is of particular importance to producers in Northern Territory and Western Australia which have limited access to domestic feedlots and processing facilities and long transport distances to reach such facilities in southern areas. The trade directly employs 2029 people and underpins the employment of a total national workforce of 9799. Live export provides an important de-stocking option during drought when producers face a “must sell scenario”. Live exports as a percentage of slaughter rests between 8-12pcm but during the 2014-15 drought increased to 15.4pc. The trade serves as a competitive buyer in the beef supply chain, and supports domestic cattle prices at times when the market is saturated with stock, providing an alternative sales outlet for farmers liquidating herds. Live exports sustains a raft of industry support services including veterinary, transport and agency businesses, and is of particular importance in regional and remote areas, providing one of the few employment opportunities, particularly in indigenous communities. Trading partners rely on the live trade for a reliable supply of protein for their population. “Capacity constraints including the availability of suitable land, electricity for cool stores and household access to refrigeration make the purchase of live cattle an essential component in meeting their local demand for beef,” the report noted. Cattle imports provide a source of local employment in customer countries, through feedlots and abattoirs, where most tasks are performed manually. Australia’s live trade regulations have contributed significantly to the growth in animal welfare, handling and husbandry skills in partner countries. 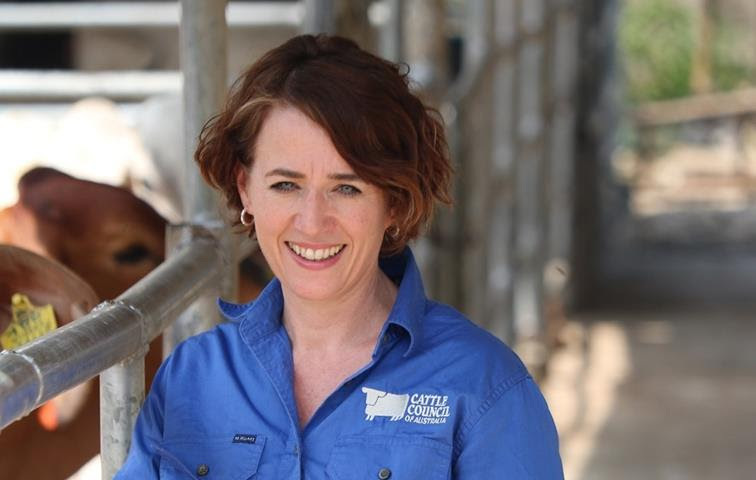 Cattle Council of Australia said the research confirmed the economic and social imperatives of the industry and its positive impact at the farmgate. “This research is important because it gives us a clear understanding of the returns to the production sector, showing that that over $620 million of the industry’s average annual revenue is returned to the farmgate,” CCA chief executive officer Margo Andrae said. Ms Andrae said the analysis was timely in light of the current drought pressuring the cattle industry. Sources: Value analysis of the Australian live cattle trade, Cattle Council of Australia. To view the key highlights of the analysis and to download the full report click here. @Paul Franks – as opposed to the rural emotional bull dust where everything is set up, paid for or ten years old (“that doesn’t happen anymore” (except it does)), despite often coming from or being checked by industry itself. You are right with the live sheep trade though – I don’t see any long-haul voyages by sea after 2021, which probably also means no long haul cattle by sea to the Middle East. The northern cattle trade will be much harder to shut down (and in all fairness, it’s less urgent than the live sheep trade given the shorter voyages, low mortality rates and high stun rates) BUT… it won’t happen overnight, but it will happen. Unfortunately the debate is based on urban emotional fairy dust (the belief everything is like a Disney type world) argument rather then logical reasoning. The sheep live export will be banned in a year or two. The cattle live export faces a more uncertain future. There will be many pushing for a ban on it though. A great report from the best analysts in the industry.